Super Junior-D&E (Korean: 슈퍼주니어-동해&은혁, also known as Donghae&Eunhyuk, D&E or SJ-D&E) is the fifth official subgroup of the South Korean boy band Super Junior, formed by SM Entertainment in 2011. 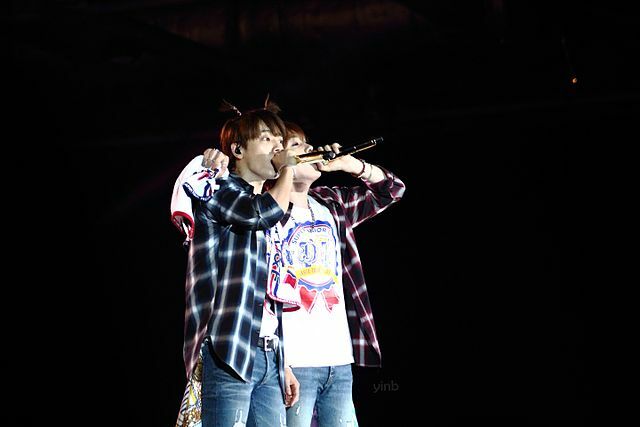 The sub-group is composed of two Super Junior members Donghae and Eunhyuk. The duo's first official performance was on December 16, 2011, on KBS's Music Bank, performing '떴다 오빠 (Oppa, Oppa)'. The group released their first Korean extended play (EP), The Beat Goes On on March 9, 2015. Never cross a kleptomaniac with someone who likes danger. Donghae is a country boy who has moved to the city to earn money for his family and Hyukjae, similarly, lives in the city to do the same for his. The difference between the two is that Donghae does things the regular way, but Hyukjae? He likes danger. He likes unconventional methods and crimes. Their paths cross at a small diner, where Hyukjae figures he could use an accomplice like Donghae. Maybe he's right. A place for me to keep the awesome and wonderful things Deep & Easy say to and about one another.